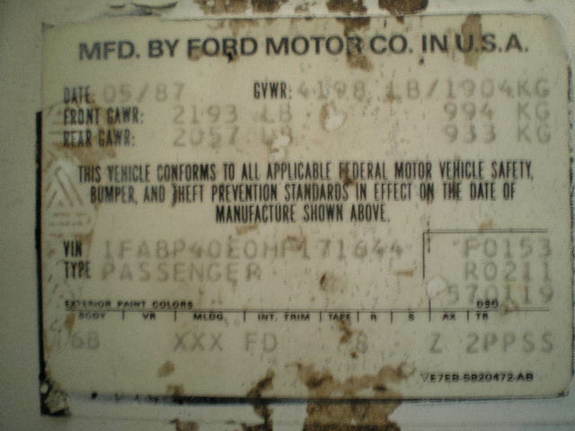 1983 Colorado State Patrol Door Data Sticker, DSO 76-0029. 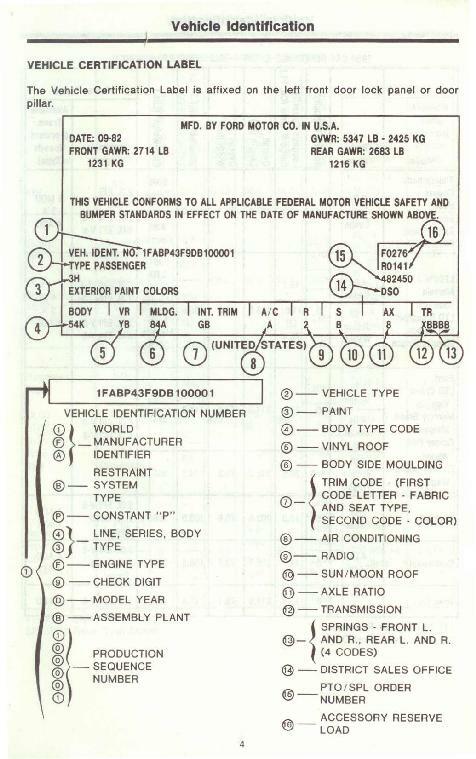 1985 California Highway Patrol Door Data Sticker, DSO 72-0406. 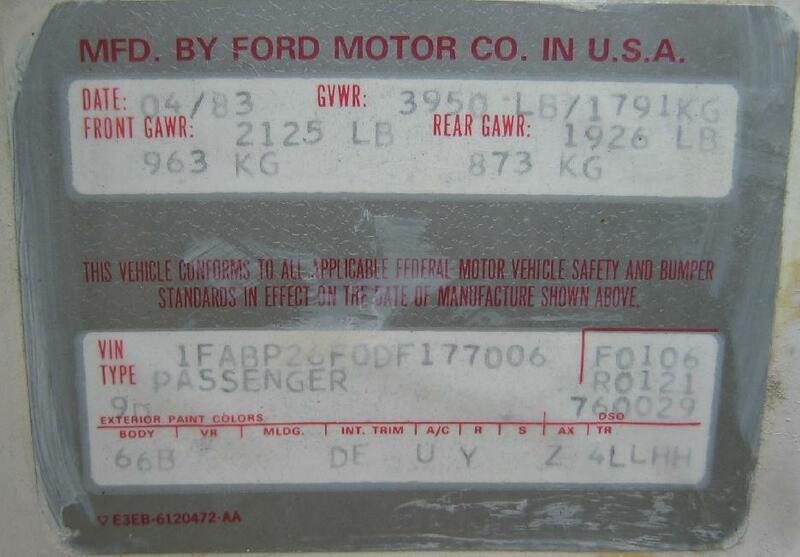 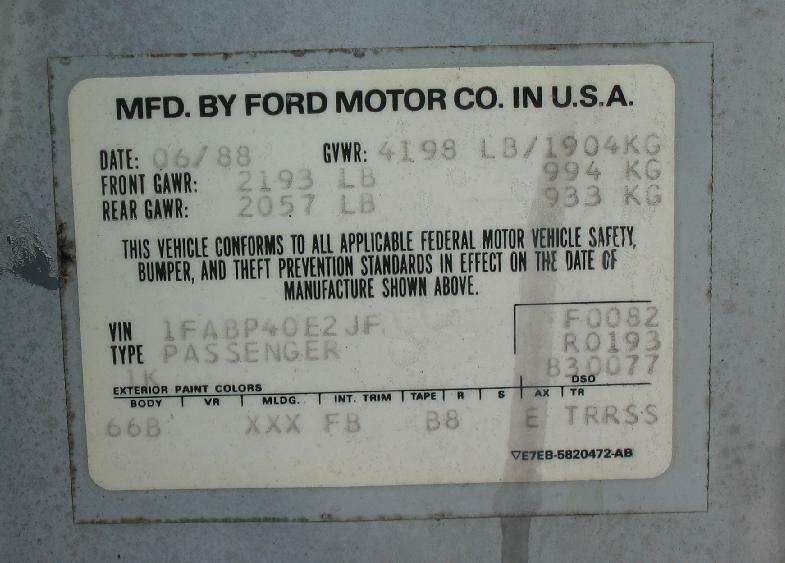 1988 FBI Door Data Sticker, DSO 83-0077. 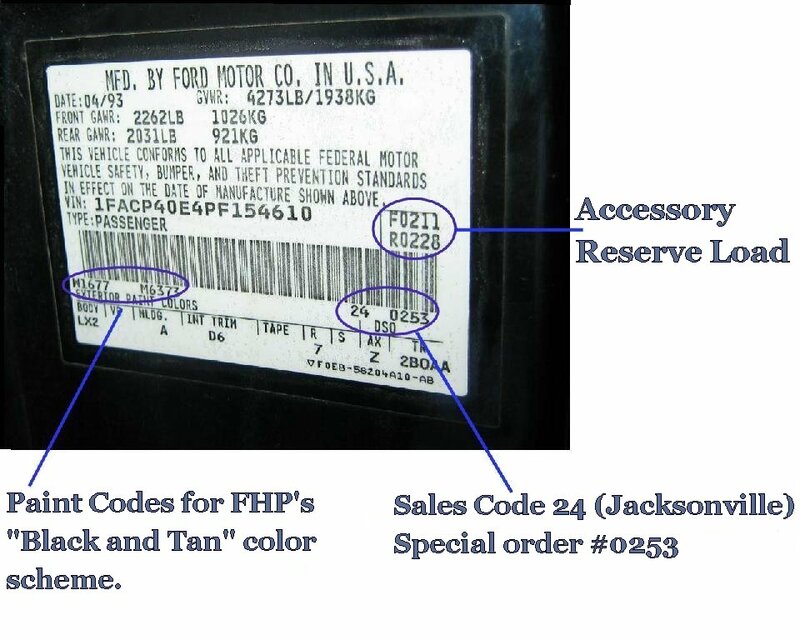 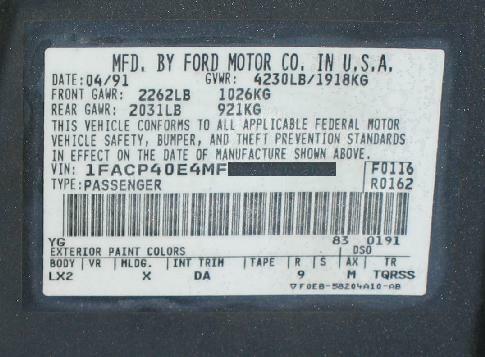 1991 FBI Door Data Sticker, DSO 83-0191. 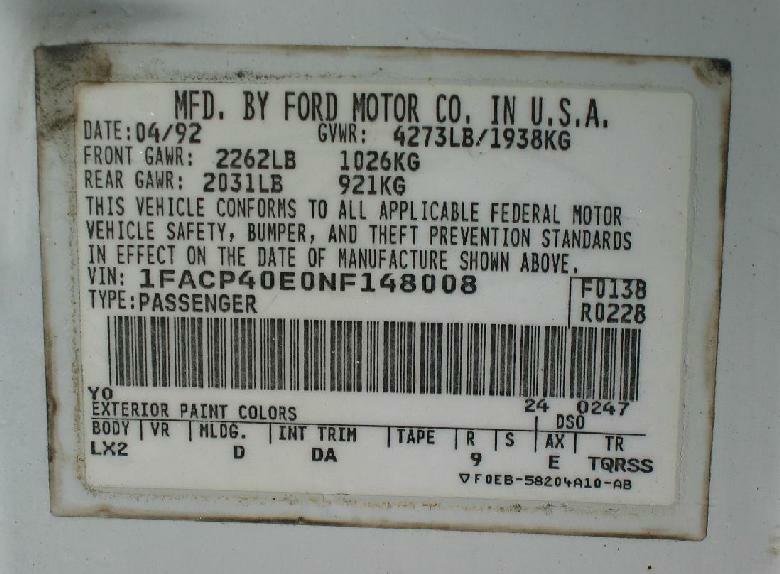 1991 Santa Clara County, CA Door Data Sticker, DSO 72-0723. 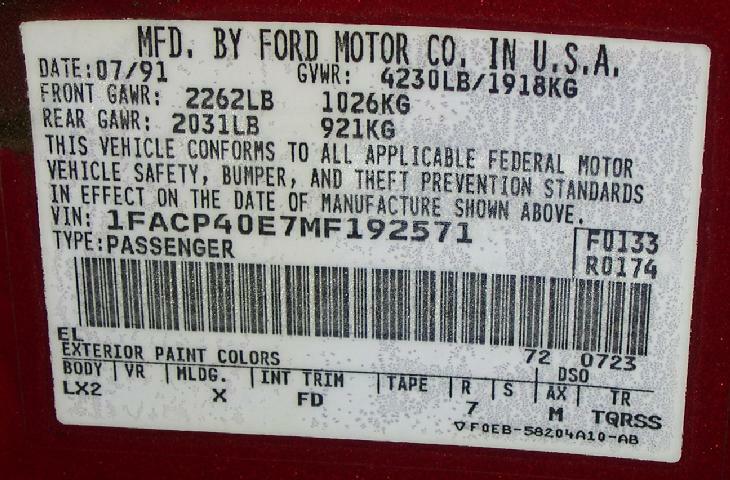 Bret Traywick photo. 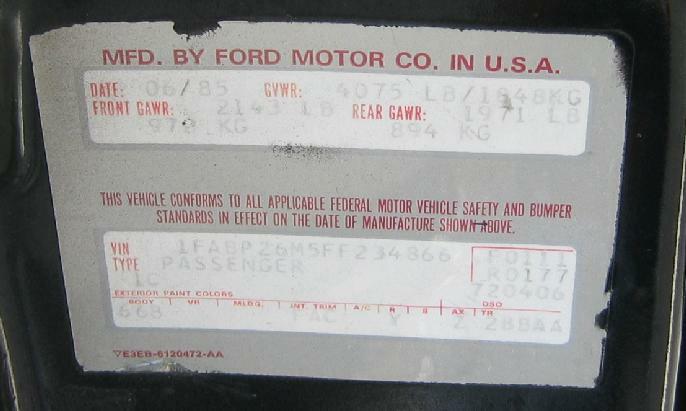 1992 Gainesville, Florida Door Data Sticker, DSO 24-0247.